In 2025, the Malone Society plans to mark the four hundredth anniversary of the death of John Fletcher by publishing an edition of the surviving manuscript of one of his plays. Two important manuscripts are as yet unpublished, The Elder Brother (British Library Egerton MS 1994, ff. 2r-29r) and Beggars’ Bush (Folger Shakespeare Library, MS J.b.5), and we invite proposals for editions of these manuscripts. Detailed information about the dates, auspices, narratives and surviving texts of these plays can be found in Martin Wiggins in association with Catherine Richardson, British Drama 1533-1642: A Catalogue: Volume VI: 1609-1616 and Volume VII: 1617-1623 (Oxford: Oxford University Press, 2015-16), numbers 1799 and 1866. The manuscript of The Elder Brother is apparently a scribal transcript made for a private patron. Information about this manuscript can be found in Peter Beal’s Catalogue of English Literary Manuscripts 1450-1700 (scroll down for MS 1994). The manuscript of Beggars’ Bush appears to be an unknown scribe’s transcript of a prompt book in the hand of the book-keeper to the King’s Men, Edward Knight. Images of this manuscript on the Folger’s Luna database can be found here. Please consult our guidelines for prospective editors before preparing your proposal. We also recommend, as you work on it, that you consult a recent Malone Society edition of a manuscript play, such as Siobhan Keenan’s editions of The Emperor’s Favourite or The Twice Chang’d Friar. The deadline for proposals is 31 December 2018; they should be submitted to the Co-ordinating Editor, Dr Paul Dean, at pauldean505@btinternet.com, in the usual manner. This one-day conference will focus on Marston’s riveting revenge tragedy, an unfairly neglected jewel of late Elizabethan drama which resonates with Shakespeare’s Hamlet and other classic revenge tragedies of the period. In 1921 the Malone Society published facsimile editions of Antonio’s Revenge and its companion play, Antonio and Mellida, edited by W.W. Greg; these editions are now long out of print, but we are delighted to be co-sponsoring this event and renewing our support for Marston’s work. The second part of a fascinating diptych preceded by the tragicomedy Antonio and Mellida, Antonio’s Revenge tells the story of the unfortunate lovers’ struggle in the Venetian court. Mellida’s father, the evil Piero, Duke of Venice, has murdered Antonio’s father, Andrugio, the Duke of the enemy Republic of Genoa. Andrugio’s ghost returns from beyond the grave to command his son to revenge his death. Mellida is imprisoned under a fabricated accusation of harlotry, and she dies of grief believing her lover is dead. Antonio, in disguise as a fool, prepares a masque that the Venetian court will never forget. This conference will be a very rare opportunity to see this superb play on stage, using David Lindley’s newly edited text for the forthcoming Oxford University Press edition of The Complete Works of John Marston. 2 pm – Panel 1: Antonio’s Revenge in Performance. Speakers: Perry Mills (Edward’s Boys, King Edward VI School), Harry McCarthy (University of Exeter), and Lois Potter (University of Delaware). 3:45 pm – Panel 2: Antonio’s Revenge: Text, Context, and Afterlife. Speakers: David Lindley (University of Leeds), Janet Clare (University of Hull), and Richard Meek (University of Hull). This is a guest blog-post by Professor C.E. McGee, who was the recipient of the Colin Baldwin Fellowship for 2017 for his work on the Records of Early English Drama (REED). Thanks to a grant from the Malone Society, I had the opportunity to spend several days working on Clifford family records at Chatsworth House for the REED North-East project. 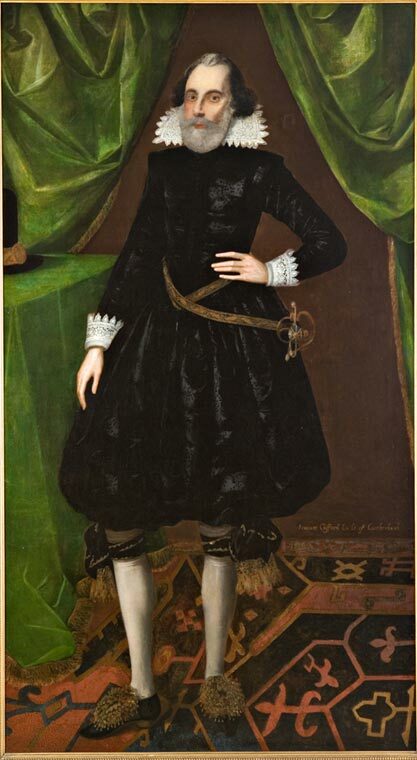 The focus of this research was the entertainment of King James I by Sir Francis Clifford, Earl of Cumberland, during the king’s progress from Scotland in 1617. For our knowledge of these entertainments, we are deeply indebted to the late R. T. Spence, who published a richly detailed narrative of the events in ‘A Royal Progress in the North: James I at Carlisle Castle and the Feast of Brougham, August 1617’, Northern History 27 (1991), 41-89. He drew heavily on the stewards’ accounts, noting, closely paraphrasing, or quoting from entries in these accounts. My aim was to locate the evidence of performance Spence integrated into his article, supplement it if more could be found, and supply the specific references that he did not. Doing this research confirmed my impression of how remarkable the Cliffords’ entertainment of King James was. 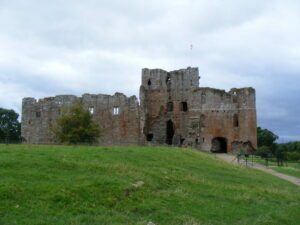 Sir Francis took special care with the lavish celebrations at Brougham Castle in Cumbria. For this occasion, he hired the poet, composer, lutenist, and writer of court masques, Thomas Campion, who ‘Composed the whole matter, Songs etc.’ Campion received the remarkable reward of £66 13s. 4d. ‘for his paines therein, Coming downe to prepare, order it, and see all Acted, & for his Charges to and fro’ (Spence, 59). While Campion played a key role, Clifford also took advantage of the creativity and talent of his family and household. His son Henry (1591-1643), styled Lord Clifford and later 5th Earl of Cumberland, was responsible for inventing the device of the show. For its performance, the earl enlisted musicians in the service of his son-in-law Sir Gervais Clifton, employed John Johnson the headmaster of St. Peter’s School in York to sing, brought in a musician from Hull just in case he was needed, and entrusted two musicians who were currently, or had recently been, in his household – John Earsden and George Mason – to create the settings and to perform. 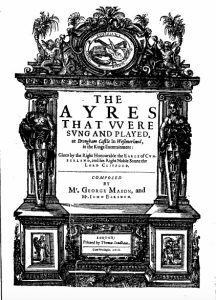 Their work, The Ayres that were Sung and Played, at Brougham Castle (London, 1618), offers the only glimpse we have of the content of the three separate shows on successive evenings during the king’s visit. Campion may have brought some of the sophistication of court music to the Clifford estate, but the musicians there demonstrated that they were up to the performance of it. That the Clifford family, household, extended family, and nearby associates in Yorkshire could invent the device, compose and play the music, sing, dance, and enact the script testified to the family’s nobility, accomplishments, and prestige. For Campion, the Brougham Castle entertainment confirmed his high praise for Clifford, the patron, ‘Whose House the Muses pallace I haue knowne’ (‘Dedication’, Two Books of Ayres ). My effort to recover and document the evidence of performances at Carlisle and Brougham Castles was successful, but not entirely so. The Westmorland account of John Taylor, noted by Spence as ‘Unlisted’, is still unlisted and could not be found during my time at Chatsworth House. Unfortunately, this manuscript is a key one: it includes the payment of £66 to Campion and documents how Sir Francis financed the entertainment, for Taylor was his agent in London and the earl raised much of the funding there. The account of the king’s visit that Spence provides also suggests that Taylor’s account is particularly valuable because it covered the period when the celebrations actually occurred. All the other stewards’ accounts cease about a week before the big event and begin again about a week afterwards. Presumably all household staff were in attendance at Brougham where they were needed. The search for this account book led to a serendipitous discovery however. In going through boxes of miscellaneous papers that the archivist produced, I found the original manuscript of the third Earl of Cumberland’s speech at the tiltyard on Accession Day 1600. We have had T.D. 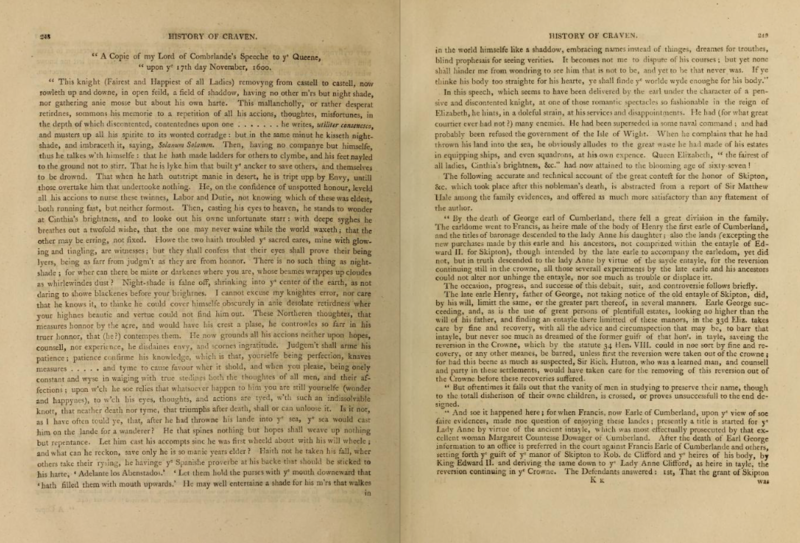 Whitaker’s edition in The History and Antiquities of the Deanery of Craven since 1805 and a reference for that document – Bolton Abbey MSS. Sundry Documents #54 – since at least 1987, but efforts to find it had failed, because the specific document is numbered, but the box in which it is found is completely unmarked. This speech and that of Lord Compton on the same occasion illustrate how tiltyard devices could combine routine praise of the Queen and protestations of devoted service with personal complaints and petitions. The Earl of Cumberland appears in the lists as a ‘Melancholy Knight’, lamenting his financial losses at the hands of others. Lord Compton appeals to the Queen to dissolve ‘a marble stone’, that is, the heart of his father-in-law, Alderman Sir John Spencer, who had disinherited his daughter because he disapproved of her marriage. Both the failure to find John Taylor’s Westmorland account for 1617 and the surprising discovery of Cumberland’s speech at the tilt suggest that the picture of performance activity rewarded by the Cliffords is still emerging. Records of dramatic activity for the family have been emerging for many years. Whitaker included payments to seven companies of travelling players in his History and Antiquities of the Deanery of Craven (1805). The number of records of such performances more than quadrupled when Lawrence Stone revisited the Bolton Abbey manuscripts at Chatsworth. 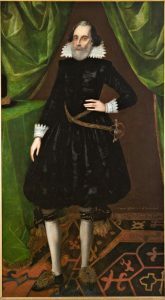 Searching the financial records of the Francis Earl of Cumberland and Henry Lord Clifford from 1607 to 1639, he discovered the evidence of thirty-one rewards to troupes of players. His findings, published by the Malone Society in Collections V (1959 ), demonstrated the importance of household records for knowledge of actors travelling in the north of England. In this instance the Pantry Account tells us the size of the Queen’s men on this occasion. Other Pantry Account entries provide evidence of troupes of players unrecorded in the Household Accounts; for example, just a little later in March 1612, a company of 14 players had three meals in the household over a two-day stay. Besides recovering the Pantry Accounts, Palmer and Wasson extended their search in accordance with REED’s parameters. As a result, we have scores of payments to musicians from as early as 1510 and eighteen more records of travelling companies of actors between 1590 and 1607, the starting point of Lawrence Stone’s work. During my time at Chatsworth House last summer, I focused on the accounts books from 1616 to 1619, the period before and after the Earl of Cumberland’s entertainment for King James I. A close reading of these books produced no new information about the festivities for the king or about visits of companies of actors to Clifford estates. I was surprised to find, however, in sections of the account books devoted to ‘Riding Charges’, ‘Carriage Costs’, and ‘Apparell’ a significant cache of payments for town waits, musicians, instrument makers, music books, and musical instruments along with expenses for their care, repair, transport, and supplies. These records of performance activity at the Cliffords’ estates in the north of England represent only part of the emerging picture of their patronage. We have to supplement those records both their rewards (almost daily rewards) to musicians when they travelled to and from London and their expenditures to attend masques at court and plays in London’s public theatres. The ‘complete’ picture of the Clifford household records of performance promises to be rich and complex. We are delighted to announce our summer book sale, in which selected volumes from our back-catalogue are available at half price. Please go to our Online Shop to select and order your books. Volumes are £15 for non-members and £8 for members; members should enter the code ‘malsocmemsale’ when prompted on the ‘Checkout’ page. We are also pleased to offer a special rate for these volumes for customers in the US, as we can send them by domestic mail from our US stock, with postage and packing included. Please look for the volumes marked ‘US SALE ONLY P&P INCLUDED’ and enter the code ‘malsocussale’ to take advantage of this special rate. Members should also enter their member’s discount code. These books are tagged ‘SALE’ and ‘US SALE’, so you can bring up the full list by clicking on the appropriate tag. If you are not currently a member and would like to join, the fee for a standard annual membership is £25 and students can become members for the discounted rate of only £12.50. New members receive a free Malone Society volume of their choosing, and new members who are students receive three free volumes. Please look at our Membership pages for details. You will be eligible for membership discounts in the book sale as soon as you have submitted your membership payment. We hope that you will enjoy the plays! This is a guest post by Fran Hughes and Ben Martineau, directors of a performance of the academic play Blame Not Our Author at the University of Cambridge in January 2017. 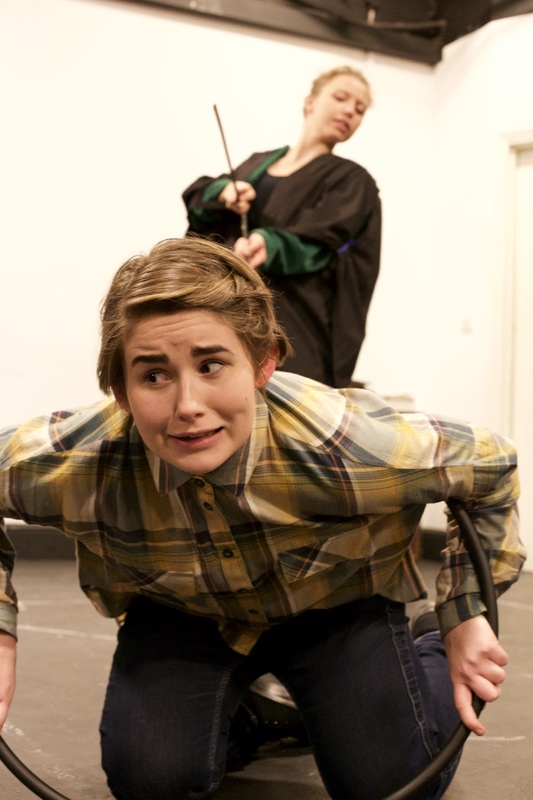 The Society would like to thank Fran and Ben for writing for us, and for bringing our edition to life in performance. This January marked the first re-performance in around four hundred years of ‘Blame Not Our Author,’ written circa 1630 for students in the Venerable English College in Rome. 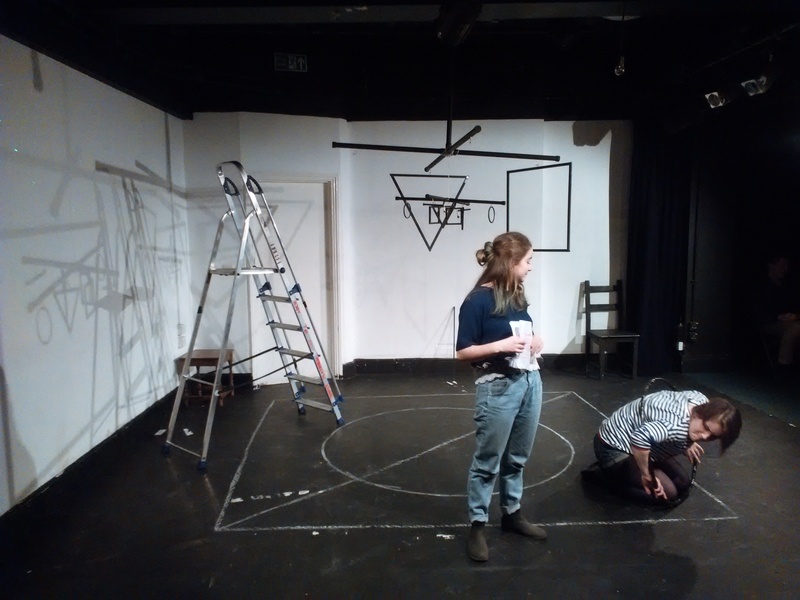 The play is set in a Euclidean world, populated by shapes and ruled over by Regulus, the Ruler. A melancholic young square named Quadro dreams of becoming the perfect circle, whilst his dastardly friend, Rectangulum, decides to seek revenge on the entire shape-world, turning Quadro, Line and Circulus against their weary creator, the Compass. Geometric chaos ensues, as the characters in an overused textbook are finally given the chance to rebel against their lot in life. Transcribed and published by the Malone Society in 1983, Blame Not Our Author has not knowingly been performed since it was penned in the English Jesuit College (now the Venerable English College) in Rome circa 1630. Written for students some 400 years ago, it is packed with visual gags that are farcical, witty, and still eloquent to anyone familiar with school geometry lessons. On another level, it provides a rich insight into a world where publications on practical mathematics, geometry, and technical skills were proliferating in print culture, and reflects certain historical anxieties about the public use and abuse of mechanical knowledge. The focus of the play reflects the heavy emphasis on geometrical learning in the Jesuit-influenced curriculum at the college. Alongside the classroom jokes, however, are darker references to the religious conflicts of the time. When Quadro is bound in a circular contraption named the ‘Squarenigher’s Daughter’, the author was directly alluding to the torture instrument known as the ‘Scavenger’s Daughter’, said to have been used on Catholics during the Reformation. Moreover, when the character of Line taunts the fact that ‘Bible the Minister’ has had her translate the Psalms ‘into better lines’, the author was mocking the verse of the Protestant Sternhold and Hopkins Psalter, written in ballad metre. Despite these poignant historic references, the play is a comedy, and was probably performed for the annual Shrovetide festivities before the beginning of Lent. The ‘Squarenighter’s Daughter’ in operation. Working with the Malone Society’s thorough transcription of the original manuscript and adapting it for re-performance allowed for an extremely dynamic relationship with the script. As directors, the excitement of working with a neglected and relatively unknown play allowed for a degree of creativity not usually afforded to well known early modern plays, where audience members often arrive with many preconceptions about the text. Rehearsing revealed many more hidden jokes and farcical elements within the play. Rather than going for a strictly historical reconstruction, the actors wore contemporary dress with subtle allusions to their ‘shapes’, such as a chequed shirt for Quadro, and a walking-stick-come-compass for the elderly, academically-dressed Compass. The black-and-white theme of the set evoked the palette of printed textbooks, whilst a planetarium-like mobile at the centre with suspended shapes allowed characters to enact some of the more abstract jokes, and also alluded to their shared desire to become heavenly, Platonic forms. The introductory notes provided in the Malone publication sparked lots of discussions during the rehearsals. 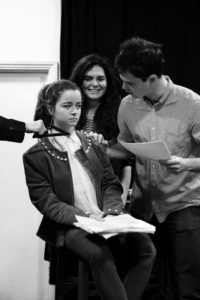 Knowing that different hands feature in the original manuscript helped to create a real sense that we were reviving a collaborative, historic, student project, and all members of the cast and crew were keen to pitch in with various interpretations. The current custodian of the manuscript in the archives in Rome was in attendance, and we have had multiple expressions of interest concerning where the script can be read – it is thanks to the Malone Society that this project was even possible, and we are extremely thankful for the existence of their publication! Gossett, S. ed., ‘Blame not our Author, from the MS. (Scrittura 35.1) at the Venerable English College, Rome’, Malone Society Collections 11 (1983), pp. 85-132. Mazzio, C., ‘The Three-Dimensional Self: Geometry, Melancholy, Drama’, in D. Glimp, and M.R. Warren, eds., Arts of Calculation: Quantifying Thought in Early Modern Europe (Houndmills: Palgrave Macmillan, 2004), pp. 35-65. Amy Lidster is currently studying for her PhD at King’s College London. She was the 2015 winner of the John Edward Kerry Prize, a competition open to postgraduate students worldwide. The winner of the 2016 competition will be announced shortly, and the 2017 competition will close on 23 April 2017. In my current research, which focuses on early modern history plays, I am particularly interested in drawing attention to the agency of alternative ‘producers’, specifically networks of repertory companies, patrons and stationers, on the development and transmission of history plays. I am very pleased to have been awarded the John Edward Kerry Prize from the Malone Society. A significant part of my research relates to textual issues and early modern print culture, which involves working closely with sixteenth and seventeenth-century texts or facsimiles of them, and this prize enables me to add considerably to my collection of Malone Society volumes. In this blog, I’ll introduce a few of the broader issues and arguments that my research addresses (while highlighting the importance of examining the early textual witnesses of history plays), and then relate these points to a short example involving The Famous Victories of Henry V (Malone Society Reprints, Volume 171, 2007). Interestingly, evidence from the majority of history plays printed during this period suggests the playwrights had little involvement in their publication, pointing even more strongly to the agency of alternative producers in promoting interpretative and political contexts through the paratexts and, more broadly, in affecting the development and survival of history plays. 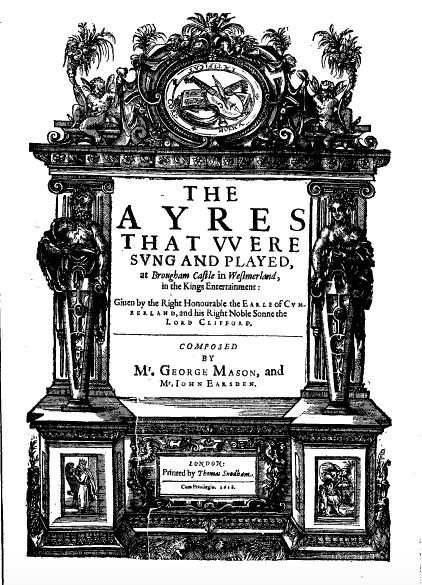 The selection of plays for publication was not arbitrary or representative of larger performance repertories – a striking example of the difference between company repertories and extant printed texts can be seen by comparing the evidence for history plays performed in the late 1590s (which suggests considerable variety in subject matter and approach) and the smaller group of history plays that reached a printed edition between 1597 and 1600. This latter group is mostly comprised of Shakespeare’s English history plays and, stemming from a tendency to equate publication with performance on stage, has come (rather unprofitably) to dominate classificatory efforts and critical narratives of the genre. While The Famous Victories is rarely studied in isolation (with most critics concentrating on its relationship to Shakespeare’s plays on the same historical figure), an examination of its textual features and conditions of publication draws attention to the ways in which plays were reshaped through their marketing and publication. Modern critical editions tend to regularize the early texts, and paratextual features are often lost or access to them is significantly reduced, erasing some of the evidence for early interpretations by the play’s producers. This illustrates one of the reasons why the work of the Malone Society is especially important for my research, and its facsimiles, transcriptions and textual emphasis have assisted in developing my understanding of the playtext as a converging site of multiple producers that mediates our access to the plays that were once performed on the early modern stage. 1. Zachary Lesser, Renaissance Drama and the Politics of Publication: Readings in the English Book Trade (Cambridge: Cambridge University Press, 2004), pp.1-25. 2. The summer of 1599 brought supposed intelligence of an imminent invasion from Spain, assigned by Francis Bacon the sobriquet of the ‘Invisible Armada.’ Quoted in James Shapiro, 1599: A Year in the Life of William Shakespeare (London: Faber, 2005), p.208. 3. Larry Champion, ‘“What Prerogatives Meanes”: Perspective and Political Ideology in The Famous Victories of Henry V,’ South Atlantic Review, Vol. 53 (4), Nov. 1988, pp.1-19. 4. For a summary of the evidence for Creede’s role as the sole compositor of Q1, see the textual introduction in The Famous Victories of Henry V, ed. Chiaki Hanabusa, Malone Society Reprints, Vol. 171 (Manchester: Manchester University Press, 2007), pp.x-xii. See Zachary Lesser, ‘Typographic Nostalgia: Play-Reading, Popularity and the Meanings of Black Letter’ in The Book of the Play: Playwrights, Stationers and Readers in Early Modern England (Amherst: University of Massachusetts Press, 2006), pp.99-126 for a discussion of black letter type combining Englishness with a sense of nostalgia. 5. The Famous Victories of Henry V, 2007, p.1. 6. Creede had previously published The True Tragedy of Richard III and Selimus in 1594 and Locrine in 1595, as well as entering other plays from the Queen’s Men in the Stationers’ Register. It is likely Creede printed The Famous Victories in 1598 as an attempt to capitalize on the reading public’s apparent interest in history plays based on the reigns of relatively recent monarchs, and was specifically responding to the phenomenal success of Shakespeare’s English history plays published by Andrew Wise in the late 1590s. Several of the Wise quartos were printed before the appearance of The Famous Victories (Richard II Q1 1597, Richard III Q1 1597, and possibly also Richard II Q2 1598 and Q3 1598, Richard III Q2 1598, and 1 Henry IV Q0 1598 and Q1 1598), and Creede himself was involved in the printing (but not publication) of Wise’s second edition of Richard III in 1598. The popularity of these quartos would have been apparent to Creede who responded with his own publication of The Famous Victories and the similarly-marketed The Scottish History of James IV, plays which he had previously entered in the Stationers’ Register on 14 May 1594 but not printed until 1598. 7. Determining agency in the assigning of specific speech prefixes is complicated, and related to the nature of the manuscript used by the printer. This reference to speech prefixes in The Famous Victories is intended to illustrate how the play as a printed text seems placed within a larger literary and historical narrative, rather than attempting to argue for Creede’s involvement in the attributions. It is with deep sadness that we announce the death of our Production Manager, Colin Baldwin, who died in his sleep on October 19th, after a short illness. There can be no doubt that the esteem in which the Society’s publications continue to be held is due, in large measure, to the care and accuracy with which Colin saw our volumes through the press, and the advice that he offered on every aspect of their progress, from the initial submission of the material to the choice of printer to whom to entrust the work. His advice to individual members of Council proved invaluable in a host of respects, and his readiness to respond, with the utmost patience, to our doubts, hesitations, and frequent changes of changes of mind has left a succession of editors (and Council officers) deeply in his debt. There can be very few societies that have relied on the judgement of a single person over such a remarkable length of time. The majority of members of Council were still at school when he checked the proofs of his first Malone Society volume, and none of our more senior members had completed their first degree. It is the consistency that this length of familiarity with our work has afforded our publications that is, perhaps, his greatest contribution to the society’s work. The Malone Society has long been regarded as a bastion of unselfregarding scholarship. The fact that his name has never appeared in any of our editions speaks volumes for his commitment to that ideal. I will that this be for euer cald the battell of Agincourt. Sunday 25th October 2015 marks six centuries since the battle of Agincourt. To commemorate this, the Malone Society are offering our unique edition of The Famous Victories of Henry the Fifth at a special discount of £10 for members and £20 for non-members for one week only from today. In this wonderful Elizabethan retelling of medieval history – a source for Shakespeare’s Henry IV and Henry V – the reprobate prince Henry sins, reforms and goes to war with France. Our text reproduces the 1598 edition, The Famous Victories of Henry the Fifth: Containing the Honourable Battle of Agincourt, from the Huntington Library copy, and was prepared by Chiaki Hanabusa. Members should enter the code MALSOCMEM when asked for a coupon code in the shopping cart or checkout page to receive their discount. Books ordered through the bookshop are sent from the UK, and appropriate international shipping rates will be applied. Click here to go directly to the bookshop.